Since 1994, NLP Worldwide has offered NLP courses and Certification trainings through the world. 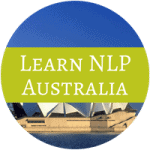 Headquartered in Sydney, Australia – our NLP Master Trainers Dr. Heidi Heron PsyD and Laureli Blyth are leading experts in Neuro Linguistic Programming. All of our NLP Certification courses meet and exceed the minimum standards and international requirements including timeline and Ericksonian Hypnosis. Neuro Linguistic Programming (NLP) is the study of human excellence, created from learning how to manage your mind – your unconscious mind. NLP teaches that you not only can we intentionally consider how we think, feel and choose, we have the ability to reprogram unconscious pathways of what we think, feel and choose. You are in charge of your mind, therefore your results. What we think, feel and choose changes the wiring of your brains. In fact, neuorplasticity, neurogenesis and quantum physics has given us a way to explain how the brain changes iteslf in response to the application of NLP with yourself or others. When you can understand how the language of the mind creates the programs you run in life, you can enhance what is working, change what is not and create new programs or emotion, behaviour and thought. Our NLP courses will help you do just that. First, notice the words in this heading. Not why learn from us, rather learn with us. Our passion for NLP lies less in the techniques of NLP and more in the people who learn it. We have experience with NLP in the classroom, and more importantly out of it. As in-congruent as it may be, many NLP trainers only train NLP and not actually use it. We use NLP every day. First – in our own lives and second, with others. Since 1994 and 2000, respectively, Laureli and Dr. Heidi have been training NLP courses, consulting, coaching and providing therapy with NLP. Their expertise in and out of the classroom brings real world experience to your learning. Instead of choosing your course based on the dates or cost, choose your trainer. There are widely varying degree of skills and competency – when you learn NLP, you want to learn NLP with the best, don’t you. Both Laureli and Dr. Heidi are a part of the NLP Leadership Summit, made up of 120 of the worlds leading trainers, they are Trainer Members and Clinical Professional Members with the Australian Board of NLP, and both are Clinical Superviors, Since 2014 they have been listed in the Top 30 NLP Professionals in the world list; for 2018 they are ranked at #11 and #3! In their conversational and educational style, Laureli and Heidi are the co-authors of 30 Days to NLP and You Must Learn NLP. Laureli is also the author of Brain Power and Neuro Intelligence. You are truely in good hands with Laureli & Heidi! Additionally, Dr. Heidi holds her Doctorate in Clinical Hypnosis, hold the highest membership (Level 4) with the Australian Counselors Association and the highest membership (Master Certified Coach) with the International Coaching Federation, plus she has held the roles of Chairperson and Vice Chairperson with the Australian Board of NLP since 2006. She also has an active YouTube Channel! NLP is a large investment of time and money – make the best choice you can by asking questions. When people do their homework when choosing their NLP Trainer, they generally choose us. We encourage you to contact our trainers directly – talk to us online, in person, via Skype – get to know us, ask us questions and see if our style, knowledge and skills fit your desires for learning NLP. It’s different here – find out why! How to Start Learning NLP? An NLP Presupposition (assumption), is the more you know, the better you can do. So, we invite you to download our book You Must Learn NLP for free. This book answers the most pressing questions we receive about Neuro Linguistic Programming and takes you on a journey that highlights how you can use NLP in personal development, communication, business, health and other aspects of life. Through an NLP course you can improve your leadership skills, create better relationships, become a better parent and friend and even work with others as a coach or therapist. In fact, whatever area of your life needs improvement NLP will give you the tools that you can easily learn to make massive changes in your life. This book is written by our NLP Master Trainers, Dr. Heidi Heron PsyD and Laureli Blyth. They have a great passion for sharing NLP globally while also helping to empower, enlighten and enhance the world with NLP one person at a time. Based on their blog of the same name and written in their signature conversational style, this book gives you 156 reasons why you really Must Learn NLP. How can NLP be used? The tools of NLP are very versatile and we train our NLP courses in a very specific way to help you use NLP in every aspect of life: as a parent, a business owner, at work, with friends, in your finances, with your health, for your growth, in training, as a leader, and just being a better you! NLP is about understanding how the language of the mind creates the patterns and programs you run in life. We have programs for everything that we do – and by understanding this you can enhance the programs that are working well, change what isn’t working well and ‘map across’ resourceful patterns to other areas of life and you can use this information to help others too! Ultimately, with NLP you are learning how your mind works – and in turn other people’s minds. In essence everything we interact with (see, hear, touch, taste, smell, think) creates a chemical reaction which triggers a response. What if you can learn how to purposefully alter those chemicals and therefore your responses? That, is NLP. You can Learn NLP in Australia, Learn NLP in Singapore and Learn NLP in the USA with us. We offer a variety of Introductory Workshops to help you learn more about NLP, plus we run the full-cycle NLP Training which includes 3 Levels of NLP Certification plus Coach specific training programs. Not all NLP trainings are created equal – with NLP Worldwide and our NLP Master Trainers Dr. Heidi Heron PsyD and Laureli Blyth, you are learning with two of the most integral, respected and sought after trainers in the world. We invite you to watch two of our most requested webinars to learn more about NLP, your trainers and what you’ll get out of NLP.